Truth. If I’ve had a stressful day, perusing the aisles of Sephora or ULTA will generally always make me feel better. Most of the time I just browse, swatch, and oggle all of the pretty things around me, and only on rare occasion to I let myself splurge and make a purchase. 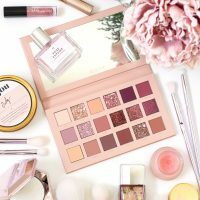 I’m not going to lie, I love me some high end makeup, but if I took everything I wanted home with me I’m pretty sure I wouldn’t be able to afford to eat. In the end I’ve realized it’s all about balance. 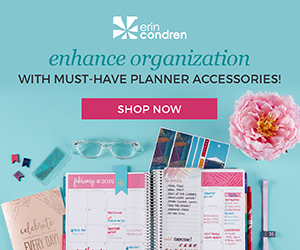 Sometimes spending those extra $10 or $20 (…or $50) is totally worth it for a knock-your-socks-off-one-of-a-kind-amazing product that performs like no other. 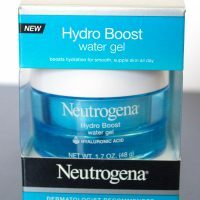 But other times you can find an equally great alternative (maybe with slightly less pretty packaging) at the drugstore for a fraction of the cost. Hence, the topic of today’s post. 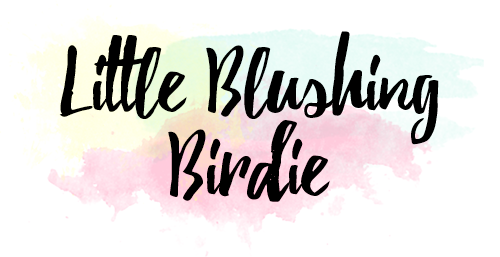 My recent experimentation with some newer drugstore launches has led me to a few promising finds that I wanted to put to the test against some of my favorite (and currently hyped) high end makeup products. 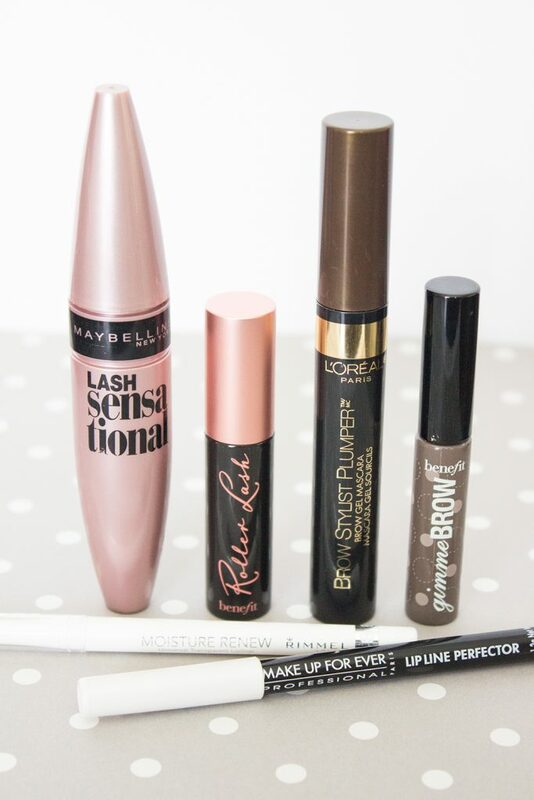 I’ve got three pairs to compare: the Benefit Roller Lash with the Maybelline Lash Sensational, the Benefit Gimme Brow and the L’Oreal Brow Stylist Plumper, and the Make Up For Ever Lip Line Perfector with the Rimmel Moisture Renew Universal Transparent Liner. 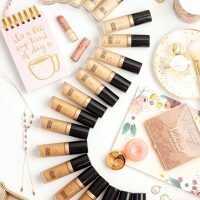 How do these makeup dupes measure up? Let’s take a look. From the first moment I got to try this sample of the newly launched Benefit Roller Lash Mascara ($24), I was in love. It added effortless curl and length to my lashes, and made them look super black and dramatic. Little did I know I had a mascara I would become even more enamored with sitting (still in the packaging, may I add) in my drawer. After seeing a couple rave reviews of the Maybelline Lash Sensational ($8.99) (which I had purchased and was saving to try once I had finished up a few more mascara samples) I just couldn’t wait any longer and had to give it a go. The first thing I noticed was how similar the brush shape was to my beloved roller lash. Without paying too much mind to my less than their less pristine state, you can see that these two wands have a lot of similarities. First off, they both seem to be made of a plastic material with spikey, defined bristles. They’re also both curved in shape, with longer bristles on the top side of the curve, and short, denser bristles on the underside. This design I think allows more more product to be deposited at the lash root to create volume, while also allowing you to lengthen and fan out the lashes as you sweep the wand upward. 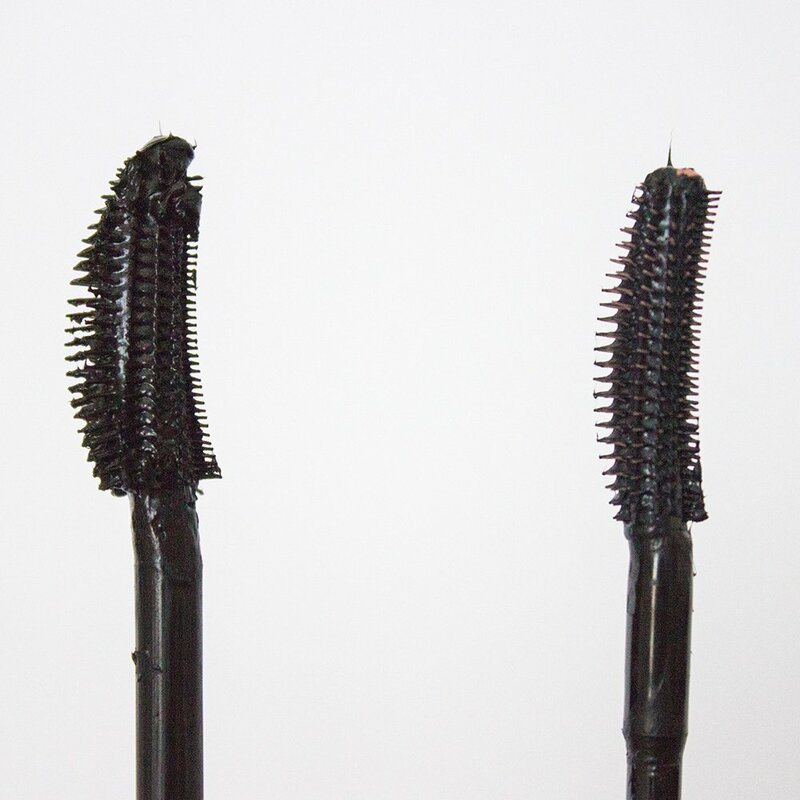 Beyond that, the formulas of these two mascaras also have quite a few similarities. They’re both relatively wet, with a deep, dramatic black finish. They both also hold up ridiculously well throughout the day without being the least bit smudgy or flakey. 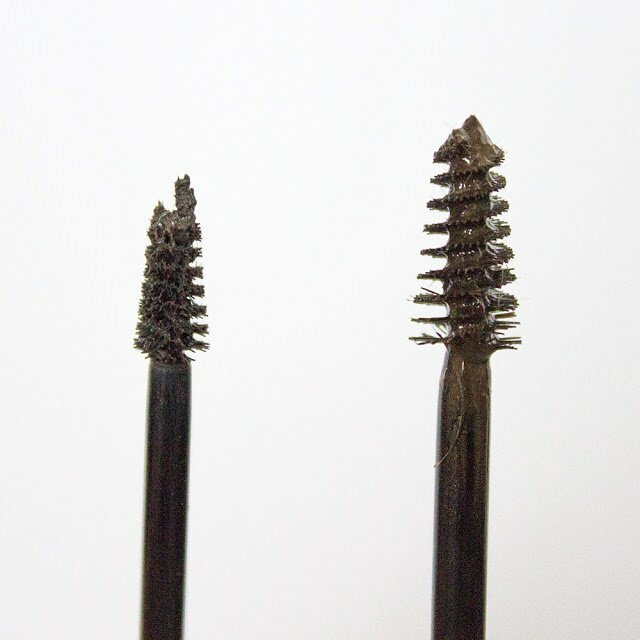 Despite the similarities, the end look you get from these two mascaras is still a little bit different (which I’ll demostrate with this handy before and after picture). These swatches are on totally bare, uncurled lashes. Generally I’ve found that the Roller Lash tends to clump my lashes together into segments. That’s not to say that I would call it a clumpy mascara, it just has a slightly more sparse finish. However, it really does create a curl like no other. Lash Sensational, on the other hand, is a little less dramatic in the curl department, but creates a beautifully fanned look with your lashes while still adding plenty of fullness. 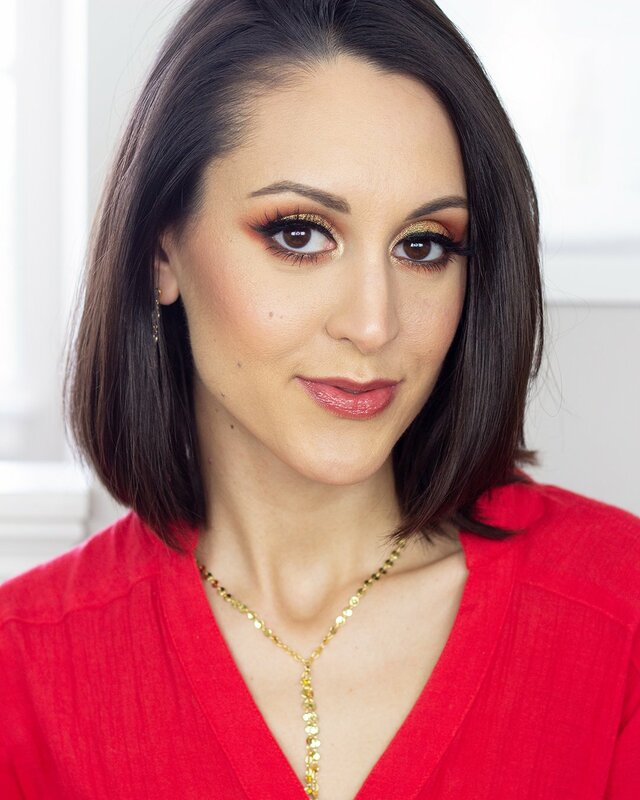 Maybe I’m biased, but I don’t even know if this one picture does it total justice (this is the mascara I’m wearing in the brow swatches below, if you want another to compare). While both of these mascaras are great, Maybelline’s is a third of the price of Benefit’s, and I think I might even like the finished look better. When you also consider in the fact that mascara is something you should chuck after a few months, the choice here is kind of a no-brainer. Good brows are SO important to creating a finished face. 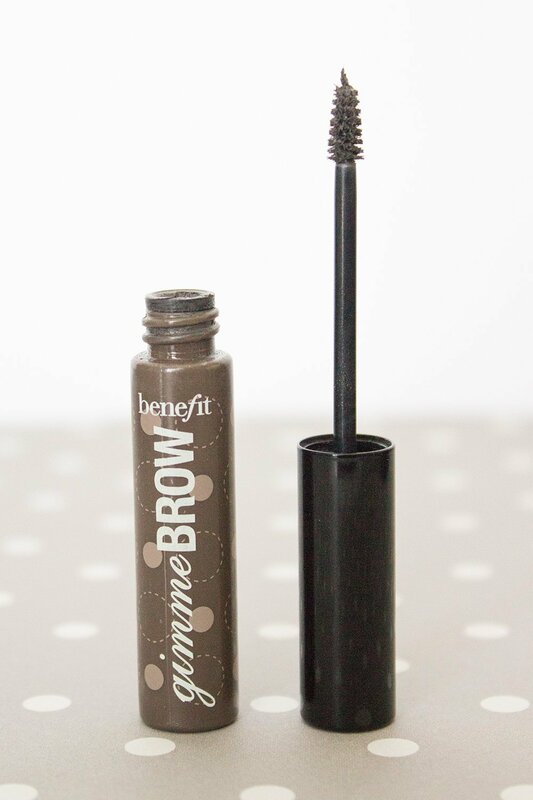 Powders and pencils were my usual go-to brow definers of choice, until I got my hands on Benefit’s Gimme Brow ($24). This tiny power house is a one stop shop for creating natural, yet defined arches. It grooms hairs into place, fills in sparse areas, and generally creates a fuller, cleaner looking brow with just a few quick swipes. 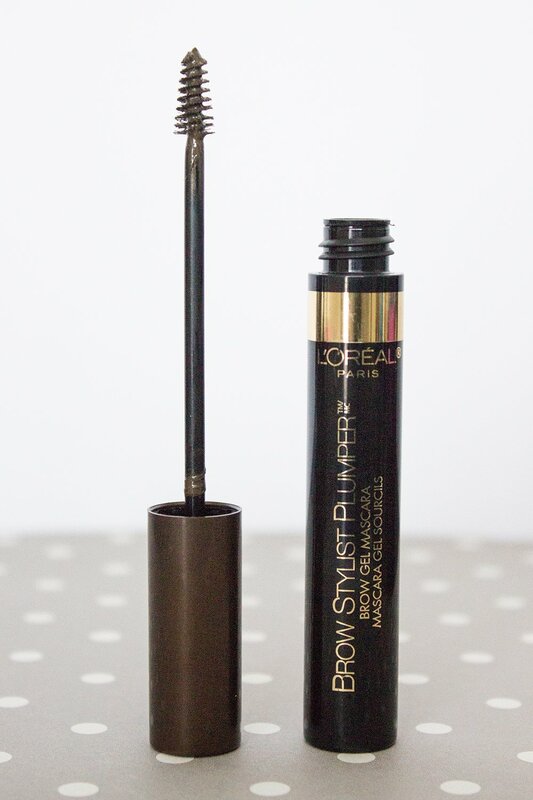 There was just nothing even remotely comparable in the drugstore until the L’Oreal Brow Stylist Plumper ($8.99) appeared. The shape of these two wands is certainly more similar than anything else I’ve come across in the drugstore, however there is still a noticeable size difference. The L’Oreal brush head, while not being awkwardly large, is still less precise than the tiny tip of Gimme Brow’s. The bristles themselves are also a little bit more stiff on the L’Oreal wand, which I think takes away from some of the ease of application. The differences between these two products don’t stop there. The formula of the product itself also varies quite a bit. Gimme Brow has a semi-dry, mousse-like texture that adds a lot of texture and pigment, where the Brow Plumper has a more wet, gel like texture that I think does more for holding brows in place than it does actually making them appear more full. To see the difference, here’s a before and after shot. You can definitely see that these two products finish quite differently. I purchased the darkest shades of both these products, and Benefit’s is most definitely darker and more cool toned. When it comes to being a one-step, do-all product for easy brows, Gimme Brow kind of takes the cake. 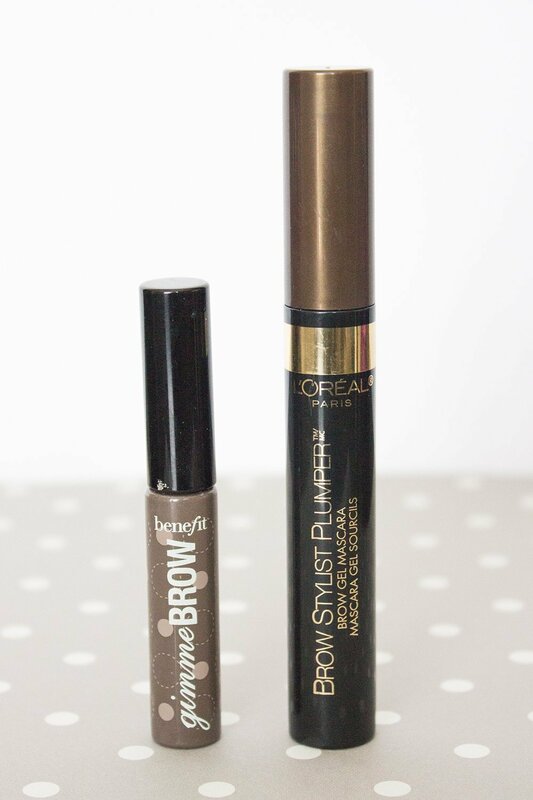 While I think the L’Oreal Brow Plumper does a decent job of giving your brows a polished, natural look, it does less for filling in sparse areas, and is a little bit more clumsy and difficult to use. I’ve been all about the lipstick this year, especially in bright, bold colors. Unfortunately, statement pouts can easily be ruined by feathering, bleeding, smudging and fading, so prepping your lips with a good liner is key to evade disaster. Rather than worry about coordinating shades, the Make Up For Ever Lip Line Perfector ($19) is perfectly invisible and can be worn under bright reds, delicate pinks, and juicy berries alike. Having something so universal seemed totally worth the almost $20 splurge, until I got a chance to test out the Rimmel Moisture Renew Universal Transparent Lip Liner ($5.99), which has similar functionality at a fraction of the price. 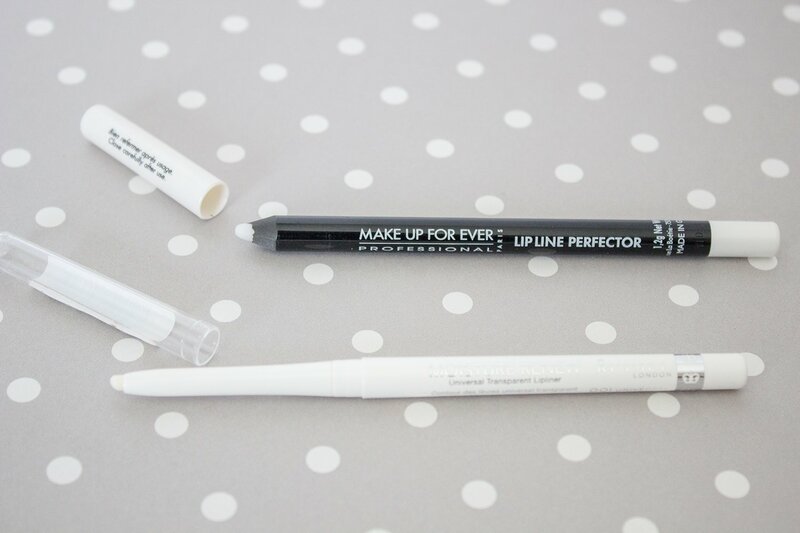 Both of these lip liners undoubtedly do what they set out to do. 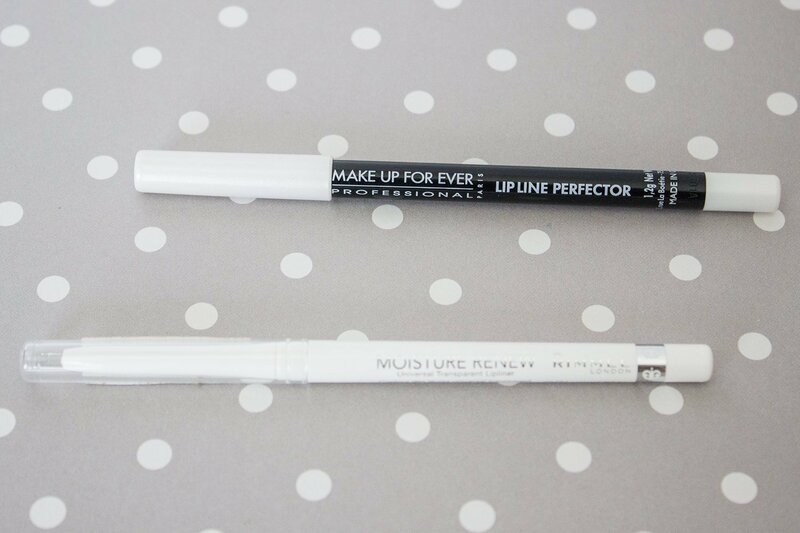 The MUFE liner is a bit grippier – with a very waxy, almost sticky texture that I feel like lipsticks can bind to. This can be both a good and a bad thing, depending on the type of lipstick you’re looking to wear. If the lipstick is really creamy, wet, or generally slippy I think it does a great job of keeping things in place. But if the formula is matte or at all on the drier side, the end result is kind of a nightmare. Dry lips are SO UNCOMFORTABLE that it’s just not worth it no matter how long wearing the color may be. On the flip side, the Rimmel Moisture Renew is a bit silkier in texture, which I think maybe makes it ever so slightly less effective, but WAY more pleasant feeling to wear. I also really like the fact that it’s self sharpening (while MUFE’s is not), which is generally just way easier to maintain and use. If you’re looking for a clear lip liner, you really can’t beat Rimmel’s, especially for the price. It works decently well, is super cheap, and doesn’t leave your lips feeling overly dried out. I know this post was a long one, but I hope these side-by-side comparisons will help to steer you in the right direction for getting the most bang for your buck. 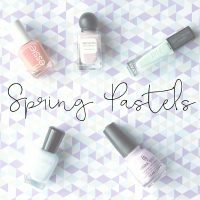 If you’ve tried any of these products, I’d love to hear your thoughts as well. Or, if you know of another potential (or better) dupe, I totally want to hear about it! 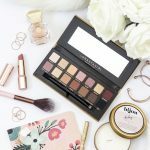 I really think the drugstores have been upping their game lately, and there’s more and more out their to rival pricier brands. 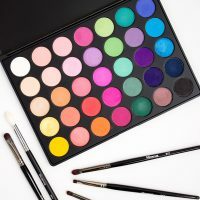 What are some of your favorite beauty dupes?